Caesarstone® | R & D Marble, Inc. 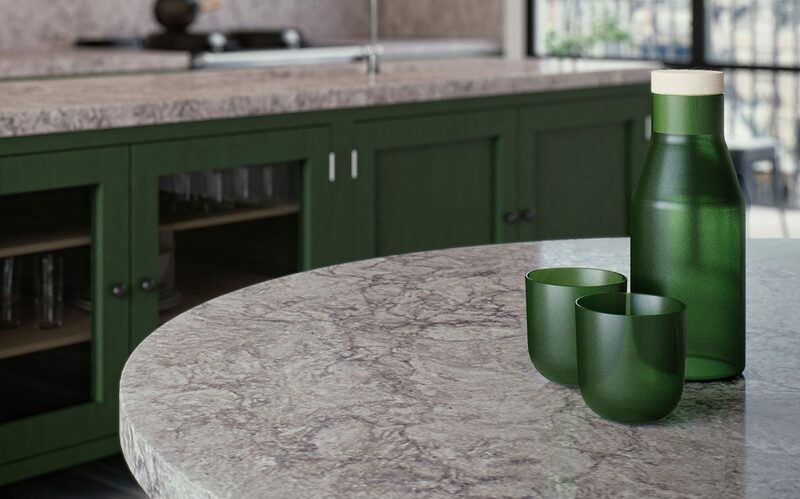 In 1987 the Caesarstone Corporation developed an innovative product using quartz, which is one of nature’s hardest materials, as a base to produce a line of new countertop and surfacing products. 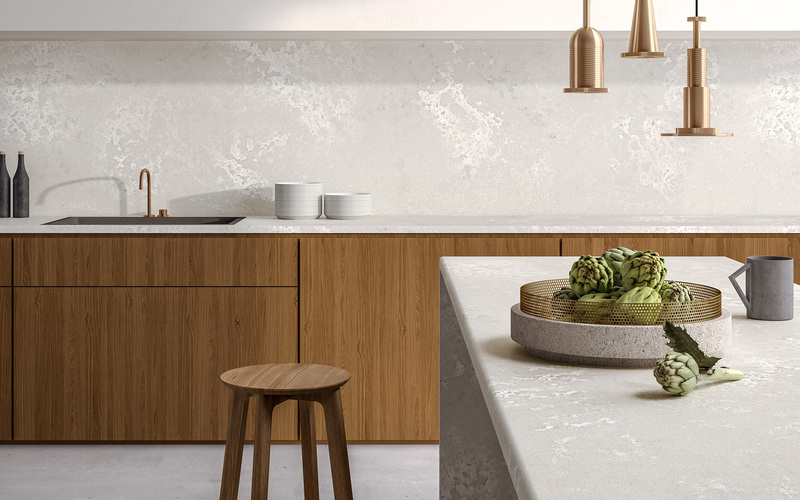 Surprisingly, Caesarstone’s physical properties soon became universally renowned—launching a new product category in the stone countertop industry. Caesarstone® has long been used by interior designers in the finest homes in our area, and now it is also being used frequently as a finish for commercial and institutional projects. Caesarstone® quartz stands up to wear and tear, maintaining its beautiful finish with very little special care. The best combination of nature and technology this beautiful surface is highly resistant to stains, non-porous, scratch resistant and almost maintenance free, retaining its beauty without sealants or waxes. 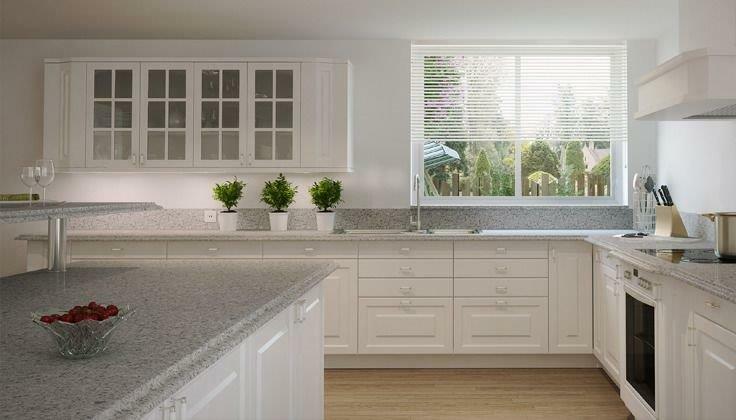 These durable quartz surfaces have four times the flexural strength and double the impact resistance of granite. Due to the outstanding durability of Caesarstone®, it can be installed in thinner forms to save weight, or in larger sections to reduce the number of joints on a surface, providing money-saving features customers appreciate. Caesarstone® is the original quartz surface manufactured primarily for use as kitchen countertops and bathroom vanities. This beautiful stone is created by mixing crushed quartz with quality polymer resins and pigments, compressing the mixture using vibration, vacuum, and finally forcing it into dense, non-porous slabs. These slabs are cured, trimmed to the desired thickness, and polished to an amazing durable shine. Beauty with low maintenance: This nonporous surface never needs sealing and is very easy to clean. For most spills, a little soap and water will keep your countertop looking new. Enchanting colors: Caesarstone® is constantly developing the next new trend in color and design. Their designs influence building trends and inspire creative applications which flow well beyond the countertop niche. Edge contours: This surface’s unique properties and robust durability permit an unusually large variety of edge silhouette choices. Lifetime Warranty: Caesarstone® provides the first of its kind, lifetime warranty covering your surface for as long as you own your home.